Wendy Webb knew from the minute she read A Wrinkle in Time at age eleven that she was destined to be a writer. After two decades as a journalist, writing for varied publications including USA Today, the Huffington Post, the Star Tribune, Midwest Living, and others, Wendy wrote her first novel, The Tale of Halcyon Crane. 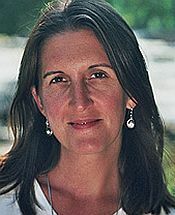 When it won the 2011 Minnesota Book Award for genre fiction, she started writing fiction full-time. Her second and third novels, The Fate of Mercy Alban and The Vanishing, established her as a leading suspense novelist, who reviewers are calling the Queen of the Northern Gothic. She lives in Minneapolis with her part-time dog, Zeus, and is at work on her next novel.